Abstract: Eleven trilobite species (Archegonus (Archegonus) aequalis philliboloides R. Hahn, 1967, Bollandia persephone (Hahn & Hahn, 1970), Bollandia cf. megaira (Hahn & Hahn, 1970), Liobole (Panibole) cf. jugovensis (Osmólska, 1968), Liobole (Sulcubole) glabroides (Richter & Richter, 1949), Semiproetus (Macrobole) drewerensis latipalpebratus (Osmólska, 1973), Proliobole vigilax (Chlupac, 1961), Cyrtoproetus (Cyrtoproetus) cracoensis cracoensis (Reed, 1899), Carbonocoryphe (Carbonocoryphe) bindemanni Richter & Richter, 1950, Tawstockia (Beleckella) milleri (Hahn & Hahn, 1971), Cummingella (Cummingella) cf. 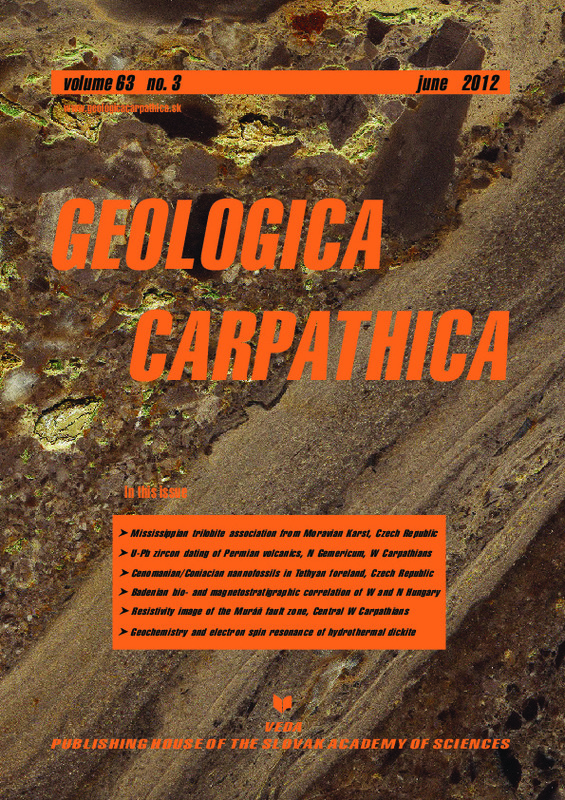 auge Hahn & Hahn, 1968) are described for the first time from the shales of the Brezina Formation in Mokra Quarry near Brno (Bohemian Massif, Moravian Karst). This typical trilobite association — comparable to that previously described from the Erdbacher Kalken of Steeden in Hessen (Germany) — was found during excavation in the Mokra Quarry but they do not come from the exact Tournaisian-Visean boundary. Stratigraphical correlation and comparison of material is mentioned below, as is the history of the trilobite research from the Moravian Karst.